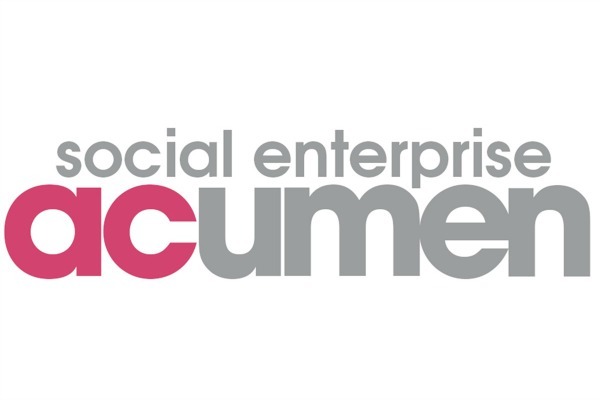 Social Enterprise Acumen CIC provides support to existing and start-up social enterprises. It inspires individuals and organisations to explore the feasibility of using enterprise to tackle social problems. It supports them in creating sustainable social enterprises. Services include practical resources, workshops, coaching, consultancy, research and inspirational talks. Social Enterprise Acumen enables creative thinking, facilitates understanding, encourages constructive action and fosters a “can do attitude”. It has a proven record in motivating and enabling individuals and communities to create sustainable and lasting positive social change. We aim to increase the number and scale of impact of social enterprises in North East England. We support social entrepreneurs to start social enterprises and established organisations to become more social enterprising. We also aim to create a stronger ecosystem of support in the region. By helping others to be more socially enterprising we create a wider impact on all aspects of social and environmental issues in our region. We deliver training, coaching, mentoring, advice and resources to social entrepreneurs and a range of business support to organisations including strategic and business planning, financial modelling, governance support, social impact measurement all aimed at helping them to become more socially enterprising. We also run a monthly network and support a wider set of ambassador local networks for social enterprises and we run an annual NE Social Enterprise Festival. We have supported potential social entrepreneurs who are people with a passion for social change because of a lived experience or a dissatisfaction with society as it is currently. We help them to develop sustainable business models which will enable them to make a difference in society and usually create employment for themselves and others. We have also helped existing organisations to increase the scale and effectiveness of their impact ensuring that a greater difference is made throughout communities of place and interest. We have increased the amount of take up of social investment in the North East and also helped partners see the value of social enterprise in delivery of services and supply chains. We track the people we work through and record their journey on Podio, which we use as a project and client relationship management tool. We use evaluation of our training and coaching and last year co-commissioned some research into social enterprise business support. Its working title “Take time for the Entrepreneurial Cuddle” illustrates the need for relational support as well as transactional so we ensure that this is built into what we do. As we continue to work with social entrepreneurs over a long period we are able to track their progress in earning income and developing their social impact. We can report the number of social entrepreneurs we train, the number who start a social enterprise and the number of organisations we work with. We then use different measures of capacity building based on progress towards financial sustainability and increase in social impact. During the last year we worked directly with 171 aspiring social entrepreneurs, 120 existing social enterprises and 78 voluntary organisations who are developing enterprising approaches. All reported very good or excellent support received and high levels of satisfaction with the information or advice that was given. Of the aspiring social entrepreneurs 150 have now started a social enterprise and we will continue to support them and monitor their progress over the next year. We delivered a Faith and Social Enterprise training course to a group of 8 people who have started or are wanting to start social enterprises from existing church projects. Paula the project worker at Shildon Live has gone on to successfully raise funding for a new venture, taking on the lease of three shop fronts in the town to develop a healthy choices food shop and other services. Jacqueline, who was struggling to regain her confidence following a violent attack in her employment, attended our social enterprise start up course and after the session and coaching; she has now launched her social enterprise Magical Memories CIC and is taking lonely and isolated people on days out and trips to places of interest. Opportunity Café CIC is now an established social enterprise run in an NHS building and employing 12 people with learning disabilities who had never worked before. We developed the business plan and mobilisation plan as consultants to the NE and Cumbria NHS learning disability alliance. We deliver a range of services which are over and above the contracts we deliver. These include a fortnightly newsletter, a monthly network meeting and an annual social enterprise festival. We also give every social entrepreneur a free one hour session to help them develop their ideas. Overall this represents a value of approximately £16,500 per annum. We support the local community through free use of the building for a monthly food and craft fair and also giving advice and support to small local groups on a pro bono basis. This is valued at approximately £2400 per year. We have hosted the local councillors place based board and have been commended for the difference we have made since we moved into this local area 18 months ago. All of our staff receive perkbox as part of their employee benefits. This is an investment of approximately £1,200 per annum.